The GyrFalcon is a powerful and fast-flying hunter. They eat mostly birds. 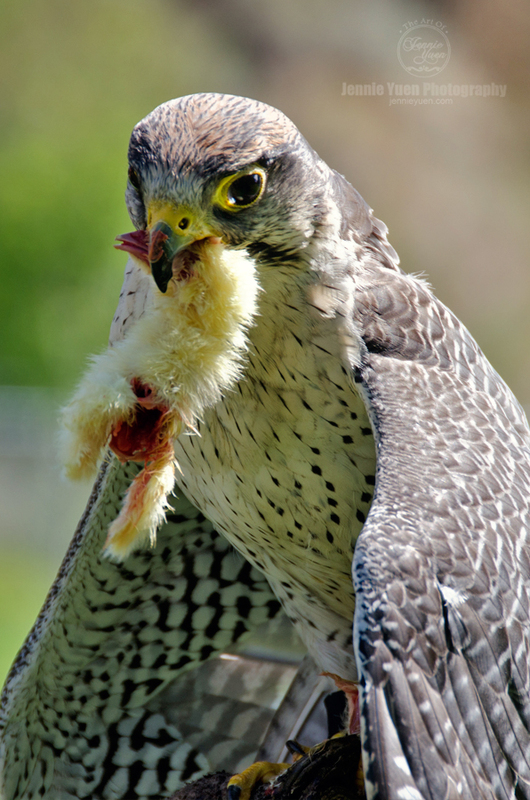 When they catch their prey, the Falcon uses its large wings to cover over its catch so that no other birds will get access to his food. 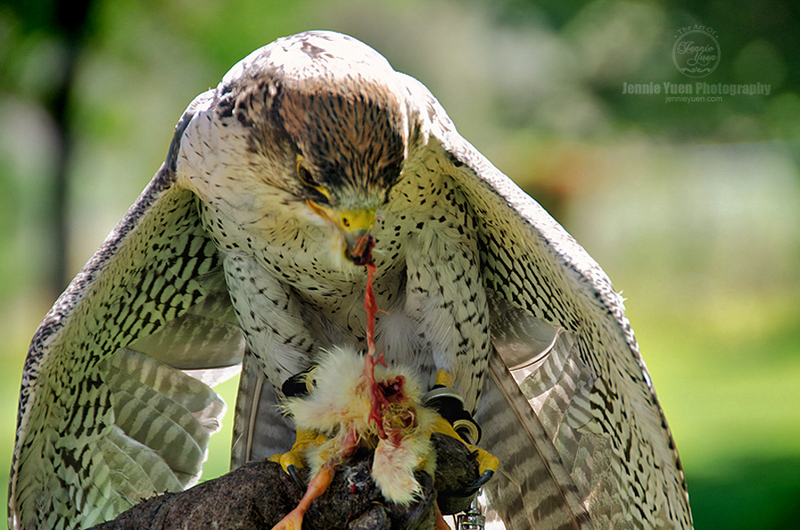 Here is a close up of a GyrFalcon eating it's meal: a baby chick.